When it made its debut in 2012, Sherwood Scare shot to the top of Hollywood Gothique's favorite Halloween Home Haunts in Los Angeles. The ambitious amateur attraction was notable not so much for its sets, costumes, and effects (though they were impressive) as it was for the manner in which those elements were orchestrated to achieve dramatic effect: your walk through the haunt felt like a journey toward an inescapable climax. Though the theme and setting have changed each year since then, Sherwood Scare retains this effective template for Halloween 2014 with its new presentation of "Sherwood Studios" - which takes you on a back stage tour of studio lot, where decades ago a child star mysteriously vanished. 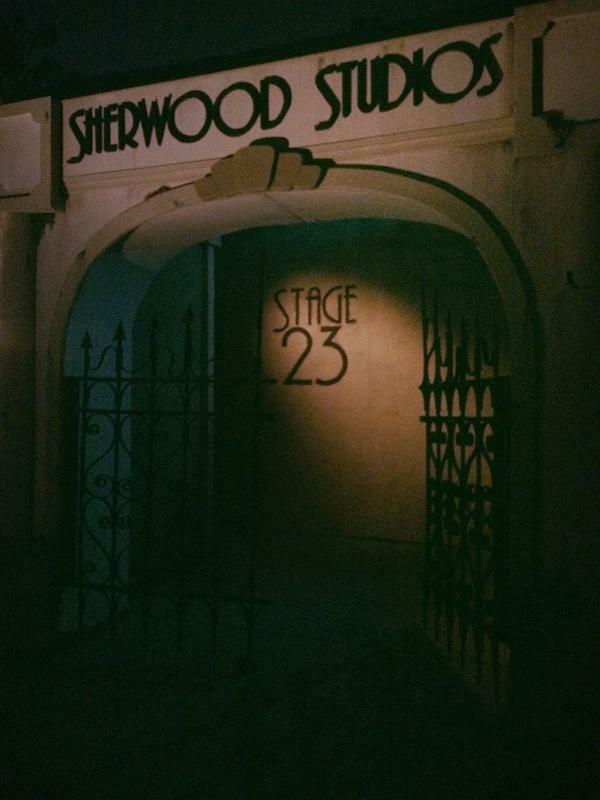 The experience begins outside, on a small neighborhood street, where you see an impressive studio gate leading to Stage 23. Entering in small groups, you reach an exterior waiting area near what passes for the entrance to a large sound stage. Within, phantoms of the past walk back and forth, looking for their missing star performer. This pause before the main haunt sets the mood, evoking a world of the past that will shortly come to life before your eyes. Next, you enter a screening room with a noisy old film projector showing a newsreel about the disappearance. True to form, Sherwood Scare uses this technique not only to fill visitors in on the back story but also to foreshadow the horrors you will encounter on your tour: you are warned to avoid the basement, but you know your path will lead you inexorably in that direction. The scene climaxes with a surprise jump-scare, which we will not divulge. From here you move through narrow corridors leading to dressing rooms, editing bays, the wardrobe department, and - inevitably - the basement. Your labyrinthine path will remind you of the hallways of the Overlook Hotel in The Shining; as in that film, you never know what might be waiting around the next corner. Sherwood Scare has perfected the art of using entrances to create anticipation: emerging from a tight passage into a relatively expansive room, you sense there must be something filling the space . Sometimes there is little or nothing - just enough to lull you into a false sense of security before the hammer drops. If you have survived a previous experience at Sherwood Scare, you probably have at least a vague notion of what to expect at the climax, but that awareness will not be comforting, as you wonder what form the manifestation will take. Unlike Halloween Horror Nights at Universal Studios Hollywood, which packed a dozen Freddy Krugers into their A Nightmare on Elm Street maze, Sherwood Scare does not over-expose its star, instead saving her for the conclusion - a destination toward which visitors voyage, like Marlow seeking the elusive and ominous Kurtz in Heart of Darkness. 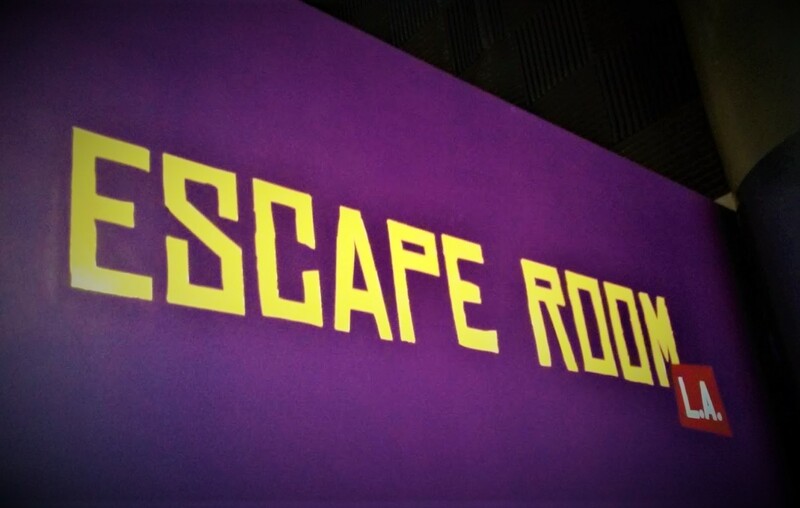 Whatever you imagine, the final confrontation will not be what you expect - the startling appearance is guaranteed to send visitors screaming for the exit, seeking the safety of the quiet outside air. For the past few years, Sherwood Scare and the Backwoods Maze yard haunt have been vying for the title of scariest Halloween home haunt in Los Angeles; though Sherwood Scare is amazing this year, we give a slight edge to Backwoods Maze. This is ironic since Sherwood Scare's themes are more appealing to us (we prefer traditional spooky haunts to visceral scare shows); nevertheless, the overwhelming onslaught of the Backwoods Maze left a more indelible impression on our shattered psyche. On the other hand, we have to admire Sherwood Scare's more nuanced approach, especially its deliberate attempt to build suspense with narrative strategies: for example, the film clip at the beginning is an epitome of the proverbial "Checkov's Gun" - which is "loaded" in the opening act so that it can be "fired" in the third act. The resulting "gunshot" is easily worth the $3-donation and an hour-long wait in line. We should also note that we walked through Sherwood Scare with a couple of screamers - a technique that usually works but us, not in this case. Our two companions were such easy targets that the phantoms directed most of the scares at them: the screaming young lady was continuously admonishing her boyfriend for making her go first, so he obviously deserved everything he got. Still, we would have liked a little more attention directed our way. Sherwood Scare was crowded on opening weekend, even on Sunday, when the line was cut off a half hour before closing time to insure that everyone who waited could get through. If you want a place in line, you should arrive an hour early, to be safe. Also, visitors were entering in groups of three or four, maximizing the impact of the scares for each individual. In order to close on time, Sherwood Scare will probably send in larger groups on Halloween, diluting the horror. Sherwood Studios is located 8856 Encino Avenue Northridge, CA 91325. Remaining dates for Halloween 2014 are October 24, 25, 26, 31 and November 1. 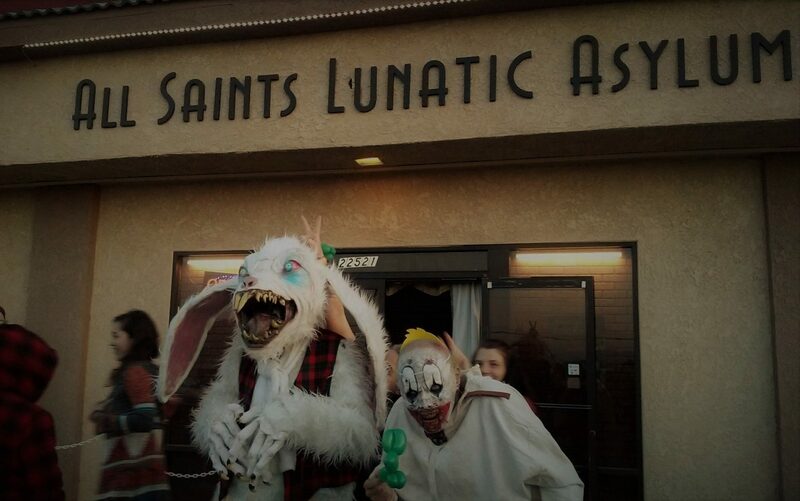 Hours are 7pm to 11pm, except on Halloween Night, when the haunt will remain open until midnight. There is a special "Lights On" event for Children on Sunday, October 26, from 5pm to 6:30pm. Sherwood Scares charges $3 for admission; all proceeds benefit Big Worm's Cystic Fibrosis Foundation. Click here to visit their website.